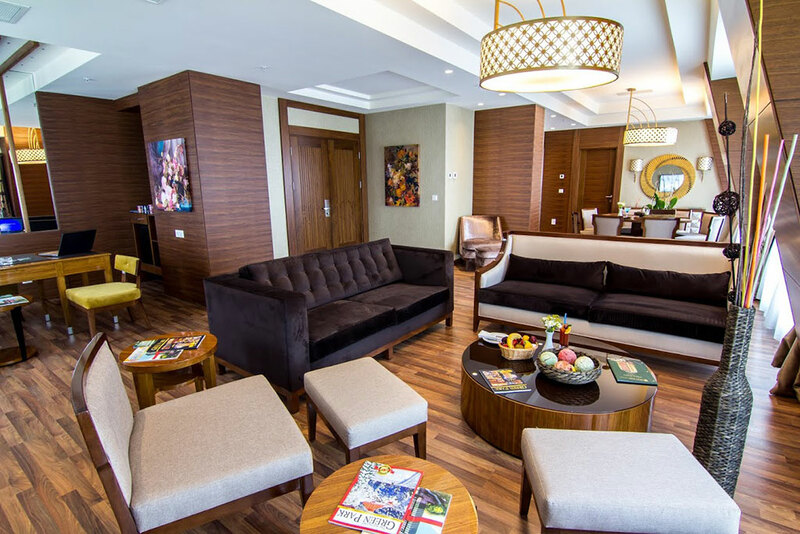 The Green Park Hotel Ankara offers many luxury accommodation options to guests from the comfort of a standard room to the elegance of the king suite. 1 King´s Room, 6 Executive Rooms, 173 Twin Rooms, 96 Double Rooms and 3 Handicapped Rooms, having a total capacity of 281 rooms and 562 beds. There are a total of 15 halls for your business activities and private events. Our congress, conference and show rooms, without any columns and with ceiling height of 9 meters and a capacity of 2,000 people, will be hosting your weddings and cocktails. 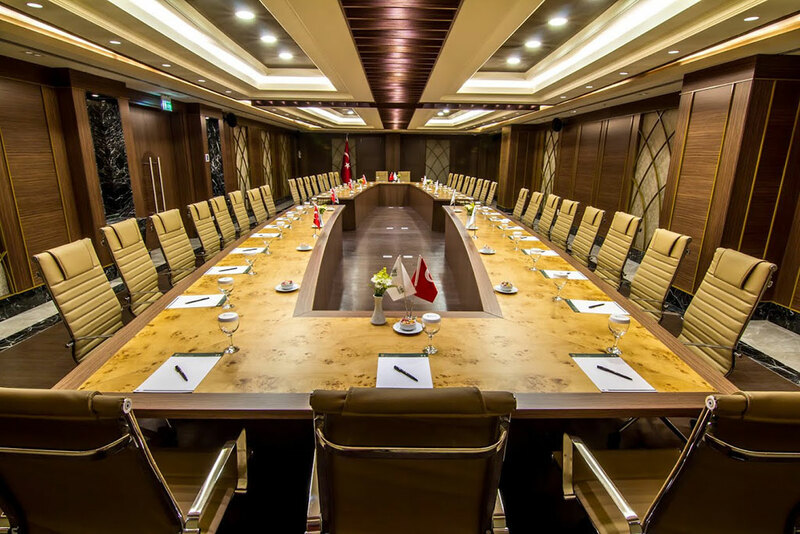 The Green Park Hotel, located in the heart of the business and political world in Ankara, is located in an ideal location in terms of transportation of your guests as well as presenting a unique environment for all your invitations and meetings from 5 people to 1500 people. While taking the first step in the unique halls of The Green Park Ankara, all you and your long-term partner have to do is say "YES". Very special therapies and relaxing activities awaits for guests overwhelmed from busy business schedules at The Green Park Ankara. Health, beauty and more vitality is gained at the SPA & Wellness Center where you will cleanse from all the stress of everyday life with the expert therapists at the indoor swimming pool, Turkish bath, sauna, beauty center, steam rooms, jacuzzi, bath therapies, skin and body treatments, VIP massage rooms and the vitamin bar.